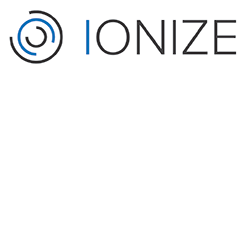 Ionize provides cyber security highly skilled and experienced security personnel servicing a range of government, academic and commercial organisations in Canberra, Melbourne and Sydney. Our standing in Canberra is such that we are one of only two ASD endorsed IRAP training suppliers. In addition to our business achievements we are also a strong presence in the security community that organises the Canberra Sectalks and other key security events. Ionize provides highly skilled and experienced security personnel servicing a range of government, academic and commercial organisations in Canberra, Melbourne and Sydney. Our standing in Canberra is such that we are one of only two ASD endorsed IRAP training suppliers. In addition to our business achievements we are also a strong presence in the security community organising the Canberra Sectalks and other key security events. We maintain strong capability in the following disciplines: Security Governance, Risk and Compliance; Security Architecture, Design and Engineering; Security Operations, including Penetration Testing, Security Monitoring and Incident Management; Security Training and Awareness. Our approach to security is business centric. Our prime objective is delivery of a secure technology capability that meets business requirements. While we consider PSPF and ISM compliance, our objective is to reduce risk to an acceptable level based on a deep understanding of the technology and communicating that to the executive.